Viral Content Buzz recently changed its domain and site name to Viral Content Bee. One of the knock on effects of this is the auto-complete, where the content you want to be shared is loaded into the share box on the Facebook share box has stopped working. The only way to share to Facebook currently is to click the blog link and visit the page. Copy the title and add it to the share box. Then go back to the blog and copy the link and add it to the share box. And then share or schedule as before. It’s all a bit time-consuming. How To Give Your Blogs Viral Reach – How To Make Your Blogs Go Viral Quickly, Well Almost! We are all looking to get our blog articles out to our readers. The main way to do this is via social media channels. Getting our articles shared means that our posts get indexed quicker and get found on the search engines. 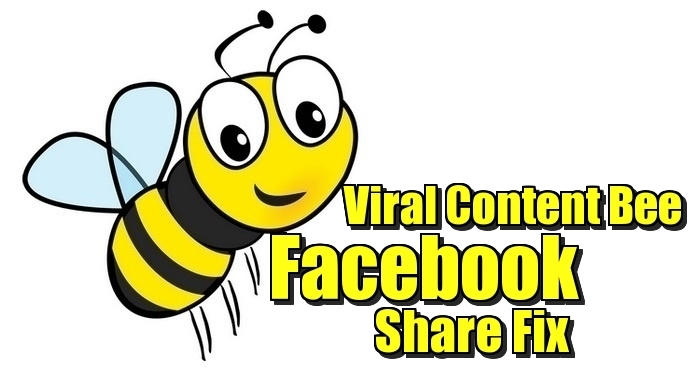 Viral Content Buzz is a great site that allows you to add your blog articles to the Viral Content Buzz sharing platform to be shared by the members. To add your articles you need sharing credits. You can buy these by becoming an upgraded member or you can earn them by sharing member content. Once you have some credits apply them to an article that you want to shared and let the members help to make your blog go viral. Here is a really simple sharing fix for Facebook, well kind of, it does make it quicker. Now, this is incredibly simple but sometimes the simple fixes are the hardest to spot. Hope this helps. And hopefully, the auto-complete function will be up and running again soon. This fix requires the content you want to shares to have both Twitter and Facebook share enabled. 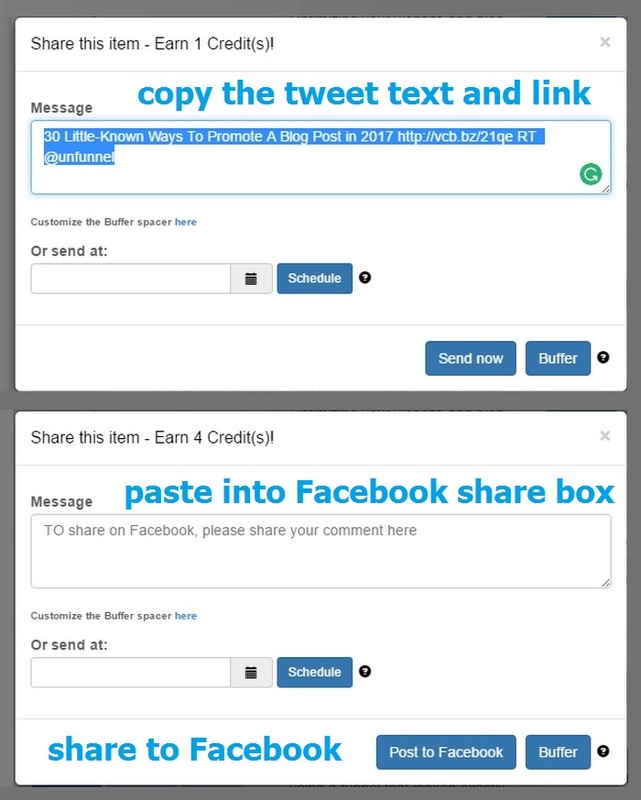 Click on Facebook share and paste the clipboard content into the Facebook share box and click post to Facebook.